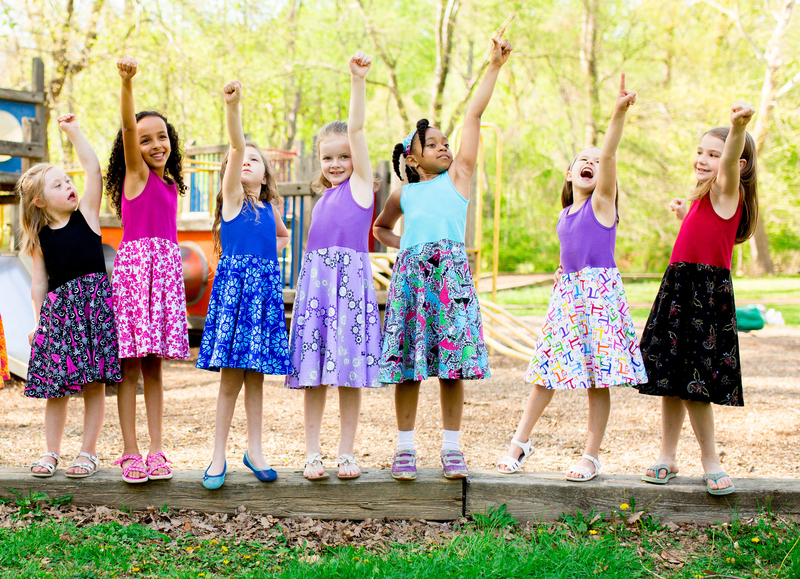 When Princess Awesome was looking to source a new design for their signature twirly dresses, they knew Spoonflower was just the place to go. 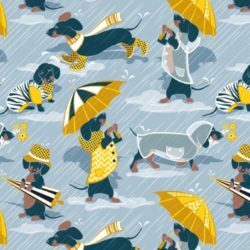 After all, their current designer, Elishka Jepson, was no stranger to the Marketplace – Elishka is the designer behind Spoonflower shop robyriker! 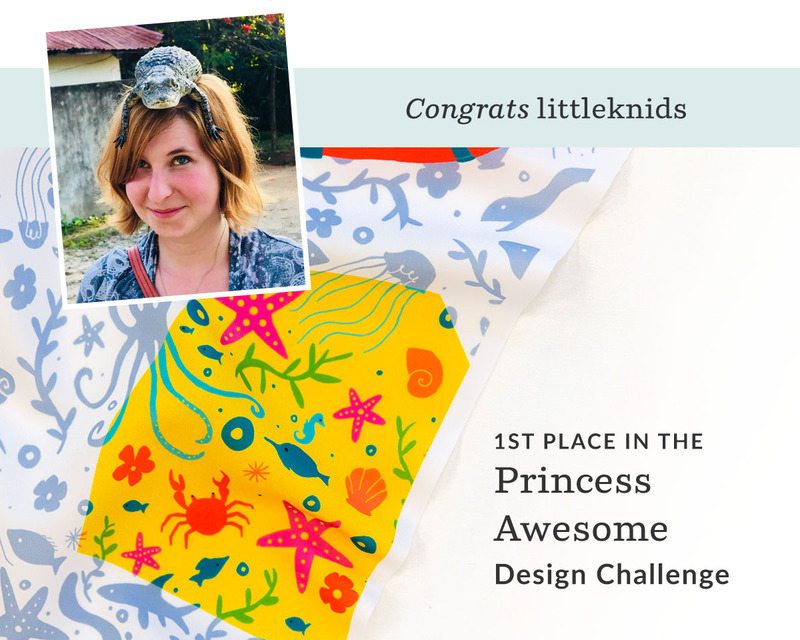 Nearly 600 designers entered the Princess Awesome Design Challenge for a chance to have their design featured on a Princess Awesome dress and after four long months, we are so excited to share the dress featuring the winning design, Deep She Exploration by littleknids. Get to know more about the winning designer, Larrea Young, what it’s like to design for a product and how Princess Awesome chose the winning design. 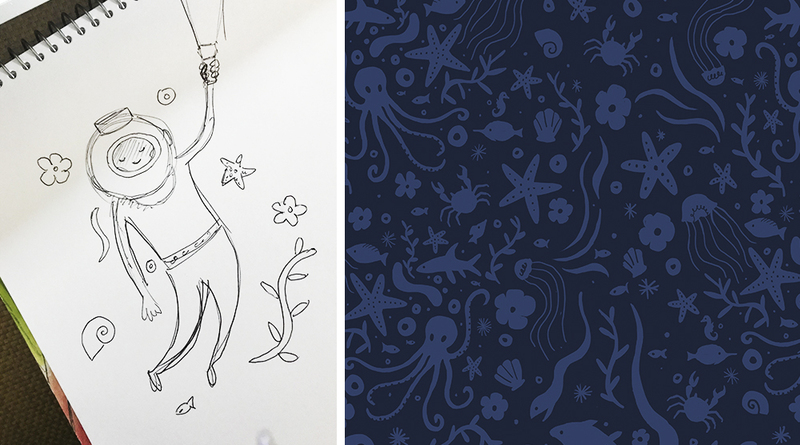 What inspired your Princess Awesome Design Challenge entry, Deep She Exploration? 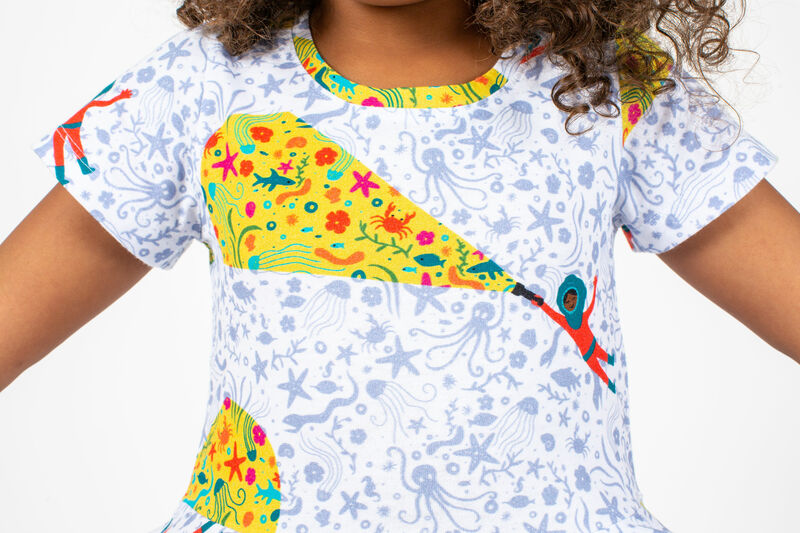 Littleknids: “My design was inspired by love of mystery of the deep sea and the amazing discoveries made my female ocean scientists like Edith Widder. As a seven year old I was obsessed with horses and ponies, as many young girls are. So my parents agreed to take me on a trip to an island off the coast of Virginia called Chincoteague, where a herd of wild ponies still live. After touring the beautiful landscape and watching ponies running free in the distance, we left the island and continued on our trip up the coast to visit relatives. I cannot recall where we were or why we stopped at a gift shop, but it was at that shop that I first discovered the giant squid. He was sitting there, covered in soft red fur with his ten tentacles dangling off the shelf, and I remember picking him up and staring in wonder at this strange creature. His giant acrylic eyes gazed back at me, and it was love at first sight. What was the design process for your entry like? When you created your design were you thinking of what it would look like on a Princess Awesome dress? Most of your projects for clients are focused on children’s growth, development and education in the health and science fields. 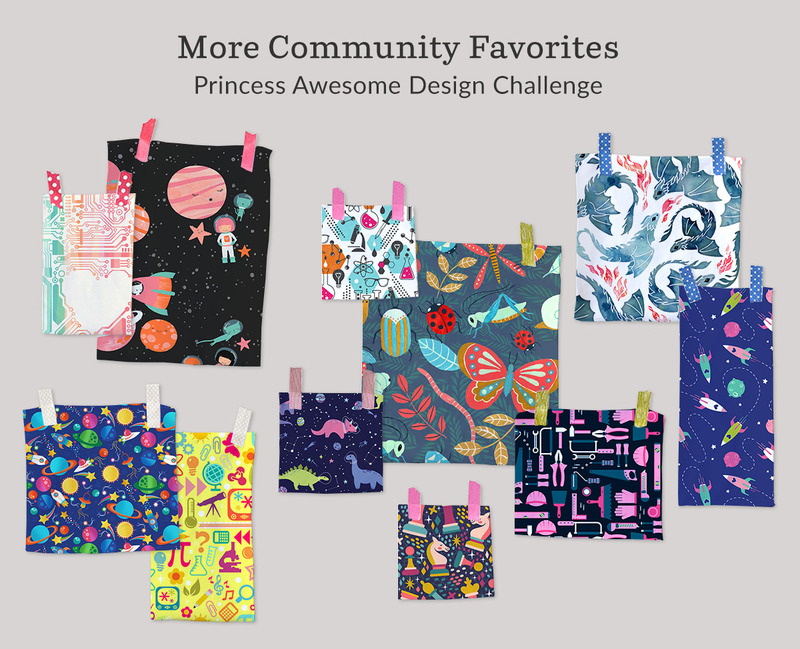 When you saw that Spoonflower partnered with Princess Awesome, did it feel like the perfect challenge for you? 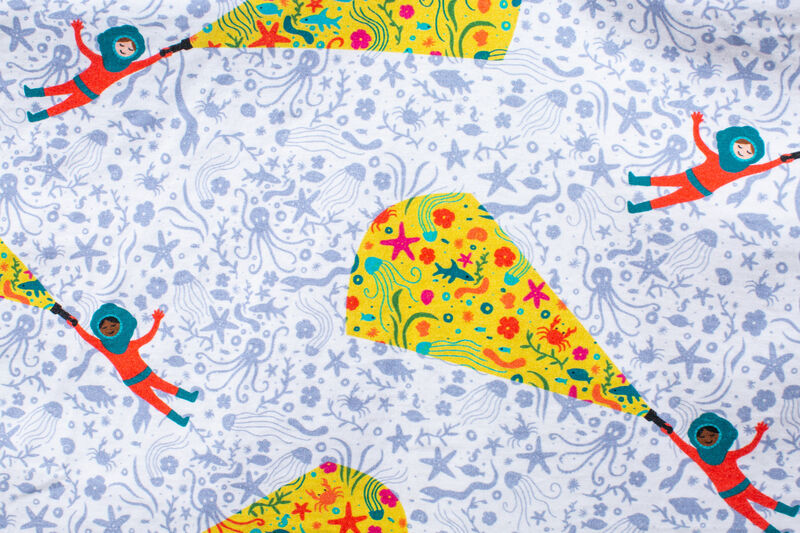 What is your favorite part about Spoonflower’s weekly design challenges? 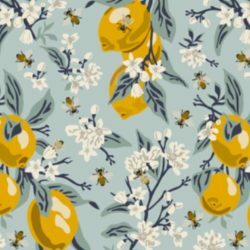 See more of Larrea’s design challenge entries in her Spoonflower shop. 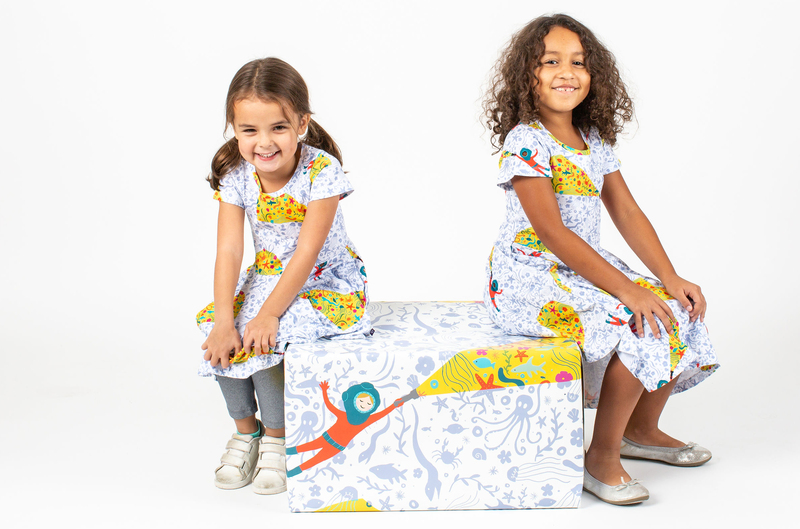 What advice would you give to designers who want to design for products like kid’s clothing? Larrea’s Storm Ponies collection is a nod to her childhood career goals! With over 600 entries in the Princess Awesome Design Challenge, how did you choose Deep She Exploration as the winning design? 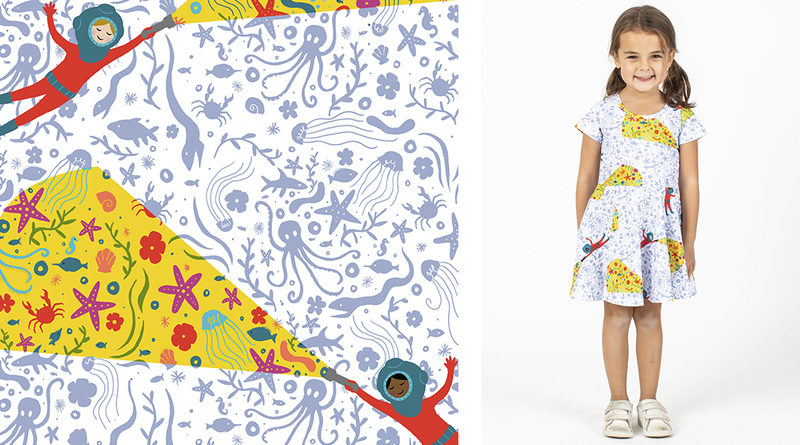 Why do you think little girls will want to wear the Deep She Exploration dress? After you chose the winning design, what was the process like to turn a design into a dress? 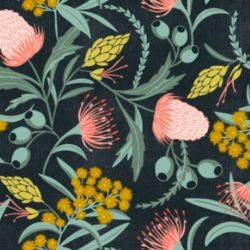 Spoonflower’s Weekly Design Challenges encourage creativity by inviting our community to submit designs around fun themes and vote on favorites to win prizes. See our upcoming themes for your chance to be featured. What an informative interview. I especially liked the peek into how Princess Awesome knew this was the pattern for them. Congratulations, Larrea! Your design really shines!